Smartphones like this are not something you come by everyday with a top class battery life which is certainly one of the best out there. Aside the stellar battery, the Oukitel K10000 Max is a Tri-proof smartphone meaning it is shockproof, dustproof and waterproof. So you don’t only get a rugged smartphone but one with excellent battery life. The design of the Oukitel K10000 Max features a metallic device in a rubber casing and is unlike the conventional smartphone you know. As expected the device is very much on the thick side. It would be weird to have a slim phone with that much battery capacity. The Oukitel K10000 Max has a thickness of 15.9mm and weighs a whopping 330g. Moving forward to the display, the Oukitel K10000 Max has a decent FHD display. This offers great colour reproduction and a nice viewing angle. The Oukitel smartphone comes with a 1080 x 1920 pixel IPS LCD screen with a pixel density of 401 ppi. This is one of the best features that the Oukitel K10000 Max if not the best as the battery life is exceptionally strong. The 10, 000mAh really shows when it comes to usage as it can go 3 days without you charging it. Surprisingly the camera is pretty much okay considering it is not a camera based smartphone par say. The 16MP camera shoots nice picture with sharp detailed images in full light. On the other hand, the front facing 8MP camera that captures decent selfies. 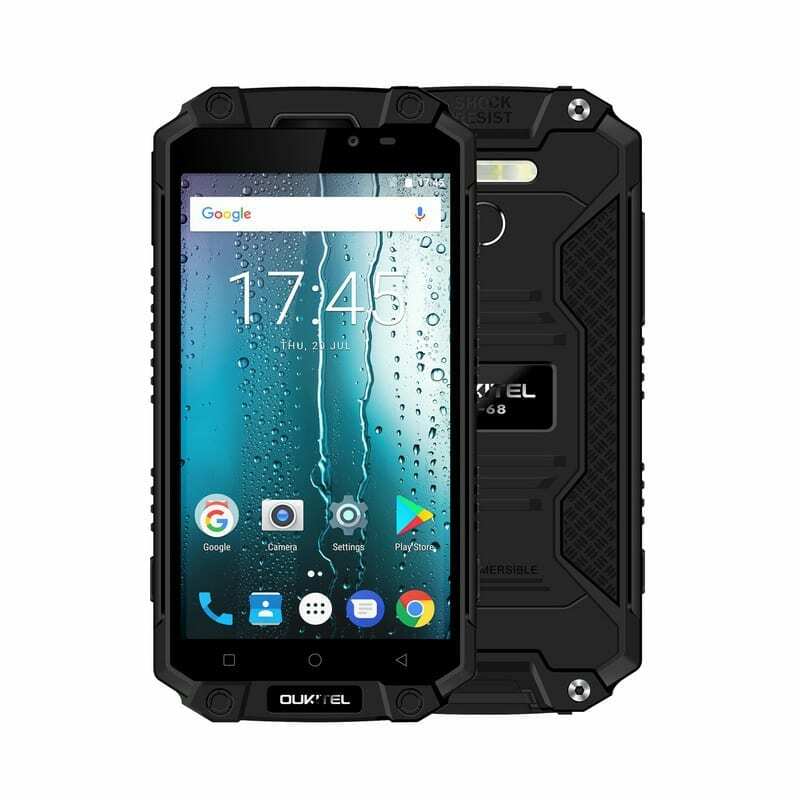 The performance of the Oukitel K10000 Max is smooth for a rugged smartphone of its price range. It handles daily usage without stress as the Octa core MediaTek MT6753 SoC does a nice work of keeping things running smoothly. The 3 core ARM Mali-T720 GPU gives a decent graphics processing output. Oukitel K10000 Max even handles some of the high resolution games comfortably. In addition, there is 3GB of internal memory and a built in storage of 32GB expandable to 128GB. The Oukitel K10000 Max boots the Android 7.0 Nougat straight out of the box with some few modifications. The Oukitel K10000 Max is available for sale in Nigeria and a number of countries around the world. You can get yours in gadget or smartphone retail stores and on online shopping centres for a price ranging from 80, 000 Naira to 120, 000 Naira. This is dependent on both your location and the vendor you’re buying from.